OH, WOW! That is about as descriptive as I can get when trying to express how amazing our Seattle sky was yesterday at day break, throughout the day, and then in the evening. 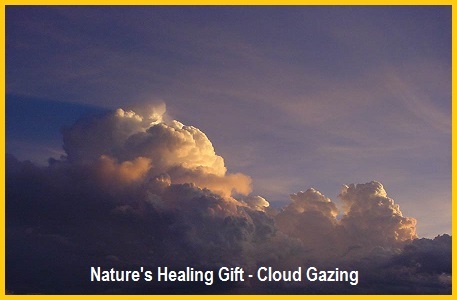 I can remember sometimes hearing as a child, “Its time to get your head out of the clouds”. My hope for all was that you did have your eyes looking up and taking in the healing beauty. 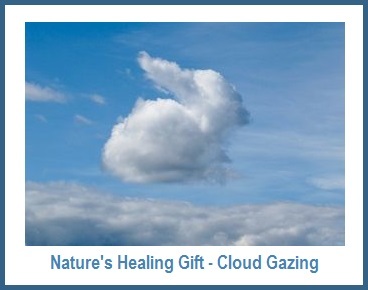 Hopefully it brought back childhood memories of looking for animals or faces in the clouds. Aloha everyone. During this week while I am on the Big Island taking classes, my blog will be sharing Hawaiian mythology, beauty, and healing energy. ENJOY! All around Big Island we see a somewhat unattractive plant with beautiful red flowers on it. It is the red Pua Lehua or Ohi’a Blossom, which is the official island flower. The story of the plant and flower is the tragic love story of the handsome young man Ohi’a and his beautiful young wife Lehua. According to Hawaiian mythology the goddess of fire, Pele, wanted Ohi’a for herself, but when she saw that Ohi’a only had eyes for Lehua, she became furious and turned him into an ugly tree. Lehua cried and begged her to turn her into a tree also, so she could be with her husband. But Pele refused. 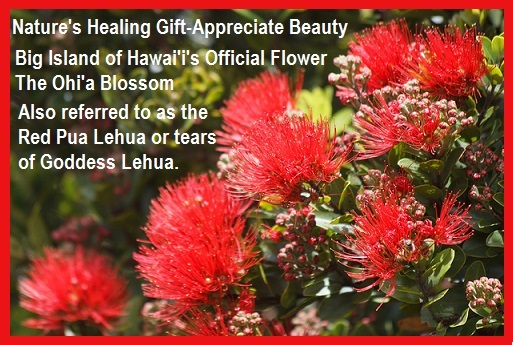 However, the other gods took pity on Lehua and turned her into a beautiful red flower and placed it on the tree. From that day on the Ohi’a tree has blossomed with red Lehua flowers. The story goes that if you pluck a flower from the tree, it will rain like the tears of Lehua, who can still not bear to be apart from her husband. To maintain harmony and balance we owe it to ourselves to make sure we have some quality quiet time. 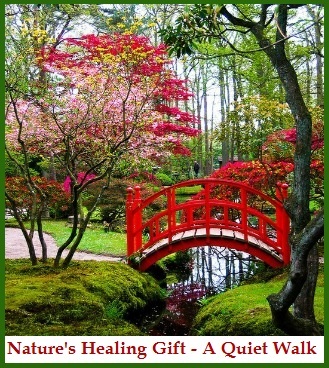 My healing quiet time is a walk in nature. 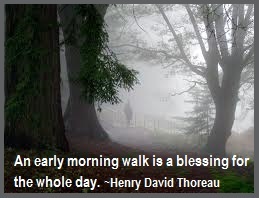 “Take a quiet walk with Mother Nature. “Walk and touch peace every moment. Each step brings fresh breeze. 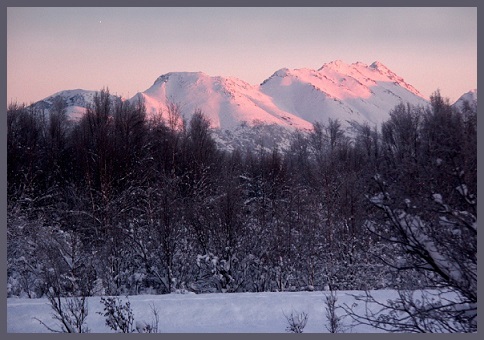 A millennia ago Alaska was inhabited by a race of giants. There was a beautiful young maiden and a handsome young man whose devotion to each other was admired by all the villagers. Wedding preparations were underway when word reached the village of a warring tribe approaching from the north. After a village council, it was decided that the young man would bring gifts to the invaders to show the peaceful and friendly intentions of the villagers. Keeping herself busy while waiting for the young man’s return, the maiden eventually grew tired and laid down to rest. Soon after, word reached the village that the invaders rejected the offer of peace and a battle ensued in which the young man was killed. The villagers, gazing at the sleeping maiden, did not have the heart to wake her. So there she rests today, still waiting for news of peace for all and the return of her love…. 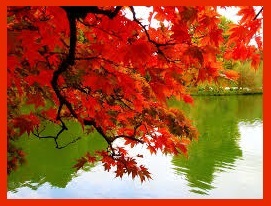 all combine to create a sense of peace and calm. Enjoy the ever-repeating rhythm of the waves. 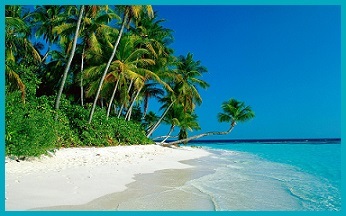 Imagine walking toward the water over the fine, hot sand…. You are feeling very hot. 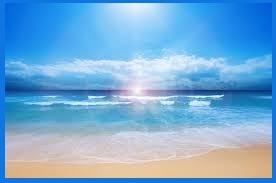 Walk closer to the waves, and feel the sand becoming wet and firm…. A wave washes over the sand toward you. The water is a pleasant, relaxing temperature…. When you are ready to return from your tropical beach vacation, do so slowly…. 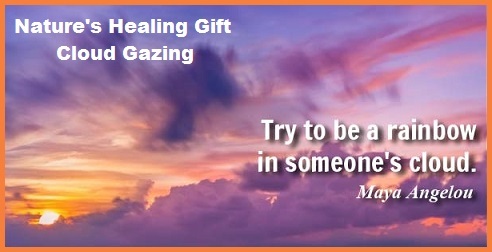 Open your eyes, stretch your muscles, become fully alert, refreshed, and filled with energy. 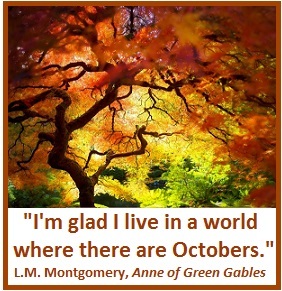 A favorite autumn thing to do at recess and lunch time was to build houses in the leaves. 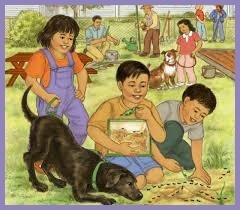 We would rake the leaves with our hands and feet to make walls for the rooms of the house we were building. There were never any leaves left inside the rooms. We were very thorough. This was probably pretend playing house, but hopefully while playing in the beautiful colors of fall, there also were early architects and designers in the making. 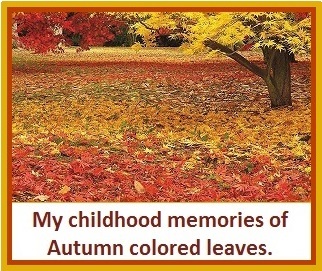 What are your favorite memories of Autumn colors? 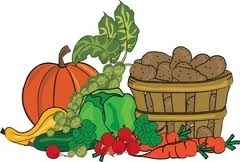 Vegetable gardening can help heal wounds. Gardening requires us to get up and show up. 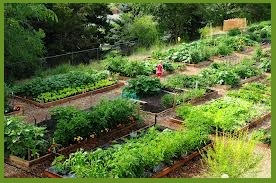 Visit a local P-Patch Garden during this harvest time to experience Nature’s Healing Gift. 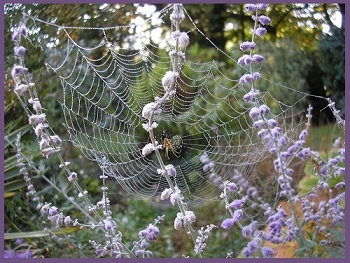 Also in ancient European medicine, spider webs were used on wounds to discourage infection, promote healing and reduce bleeding. 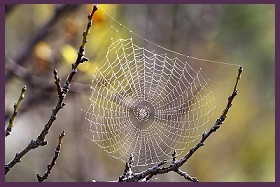 I hope you can give serious thought to thank and honor the amazing web-spinning female artist the next time you gaze upon one of her Nature’s Healing Masterpieces. I have been blessed with Misty Morning Magic for the last several days. Walking on the foggy path through the tall fir trees is like entering into another world. The quietness is so peaceful. It appeared this morning that even the crows were showing reverence to the silence. 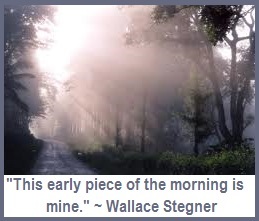 Hopefully you can find time to enjoy your own Nature’s Healing Gift of Misty Morning Magic or steal a few moments of Misty Evening Enchantment. 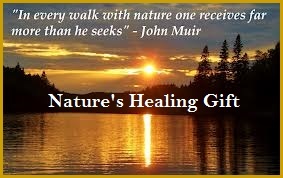 I invite you to imagine strolling into these scenic photos and feel the surrounding healing energy while nearing one of nature’s awesome wonders. 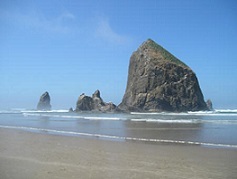 Haystack Rock is a 235-foot sea stack monolithic rock adjacent to the beach and accessible by foot at low tide. The Haystack Rock tide pools are home to many intertidal animals, including starfish, sea anemone, crabs, limpets, and sea slugs. The rock is also a nesting site for many sea birds, including cormorants and puffins. Today I am here in Cannon Beach, Oregon, and never tire of this nature’s gift of beauty that was created from lava flows 10-17 million years ago. There is an amazing grounding connection to Earth Energy when being in the presence of this magnificent specimen. 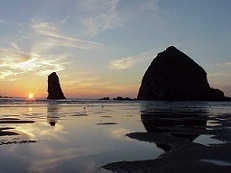 Fortunately Haystack Rock has been designated as a Marine & Bird Sanctuary where visitors can enjoy receiving abundant energy gifts from all the various inhabitants.